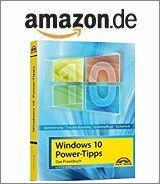 [German]On May 8, 2018 (second Tuesday of the month, patchday at Microsoft) Microsoft released various security-relevant updates for Microsoft Office 2010, Office 2013 and Office 2016. All Updates refer to the installable MSI version of Office (the click-to-run packages obtain updates through other channels). An overview of the updates can be found on this website, details are documented in the linked KB articles. Here is, what’s new on May 8, 2018. Excel 2016: KB4018382 Description of the security update for Excel 2016: May 8, 2018; fixes several vulnerabilities. Office 2016: KB4011237 Description of the security update for Office 2016: May 8, 2018; fixes vulnerability ADV170017. Office 2016: KB4011239 Description of the security update for Office 2016: May 8, 2018; fixes vulnerability ADV170017. Office 2016: KB4018327 Description of the security update for Office 2016: May 8, 2018; fixes several vulnerabilities. Word 2016: KB4018383 Description of the security update for Word 2016: May 8, 2018; fixes vulnerability CVE-2018-8161. Excel 2013: KB4018399 Description of the security update for Excel 2013: May 8, 2018; fixes several vulnerabilities. InfoPath 2013: KB3162075 Description of the security update for InfoPath 2013: May 8, 2018; fixes vulnerability CVE-2018-8173. Office 2013: KB4011253 Description of the security update for Office 2013: May 8, 2018 (KB4011253), fixes vulnerability ADV170017. Office 2013: KB4011254 Description of the security update for Office 2013: May 8, 2018; fixes vulnerability ADV170017. Office 2013: KB3172436 Description of the security update for Office 2013: May 8, 2018; fixes several vulnerabilities. Word 2013: KB4018396 Description of the security update for Word 2013: May 8, 2018, fixes vulnerability CVE-2018-8161. Excel 2010: KB4022146 Description of the security update for Excel 2010: May 8, 2018; fixes several vulnerabilities. Office 2010: KB4011274 Description of the security update for Office 2010: May 8, 2018; fixes vulnerability ADV170017. Office 2010: KB4011275 Description of the security update for Office 2010: May 8, 2018; fixes vulnerability ADV170017. Office 2010: KB4022139 Description of the security update for Office 2010: May 8, 2018, fixes vulnerability CVE-2018-8161. Office 2010: KB4022137 Description of the security update for Office 2010: May 8, 2018; fixes vulnerability CVE-2018-8160. Office 2010: KB2899590 Description of the security update for Office 2010: May 8, 2018; fixes several vulnerabilities. Word 2010: KB4022141 Description of the security update for Word 2010: May 8, 2018 fixes vulnerability CVE-2018-8161. There are also some security updates for SharePoint and Office viewer, according to this Microsoft article. This entry was posted in Office, Security, Update and tagged Office, Security, Update. Bookmark the permalink.